Are you using Airtel network on your smartphone, here comes the latest and working APN internet connection settings. If your device seems to browse slowly or not connecting at all. With this latest Airtel APN configuration that is given below, such will not be experienced again from that device. 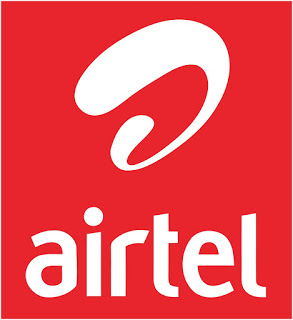 We will be showing you two methods on how to get your smartdevice configured with Airtel network. One of the method will be through message and the other through manual guide. So, among the two, whichever one you like to go for, will work for your internet connection. Now, the choice is yours to make. Since the both gets your phone configured. Let's get on how to make it work for your device. √ READ ALSO: How To Configure Etisalat APN internet Settings For All Android Devices. simply do that, by only sending the "Make of your phone and model" to this number 232. For Example: let's assume that the device you want to get configured is Tecno H6, send the SMS in this format: Tecno H6 to 232. After sending that, you now wait for airtel internet GPRS settings to be sent to you. when the send it, just save it as your default settings for all browsers, that's all for that. If the first settings didn't work for you, then here comes the second that is manual. To get it working for your device follow the steps provided with caution. Make sure to apply the right labels in its respective category name. To create a new APN, enter the below settings accordingly. Click on SAVE to activate it as the default settings for all your browsers. You can now go ahead and browse with it. Feel the speed in connection. That's all for AIRTEL MANUAL GPRS SETTINGS. Enjoy. Ask your questions with the comment box below, if you have any, and don't forget to share your contributions as it is well accepted in this blog.